This morning I woke up with an unusual clarity about what to make for breakfast; frites with jalapeños and onions. 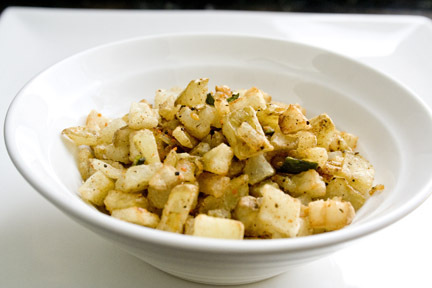 Some call them hashbrowns or homefries, but the French call them frites. I’m going to stick with that so they sound fancier. My husband and I have tried to make breakfast potatoes a number of times and can never quite get them right. We had no problem grilling potatoes with jalapeño and onion in foil, but for some reason the frying angle is a bit tougher. 1. 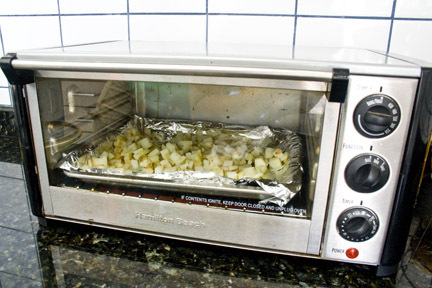 Place a cookie sheet in the oven at 375, or tray in the toaster oven. Preheat oven with sheet inside. 2. Dice the potatoes with the skin on and place on paper towels. Pat dry. 3. 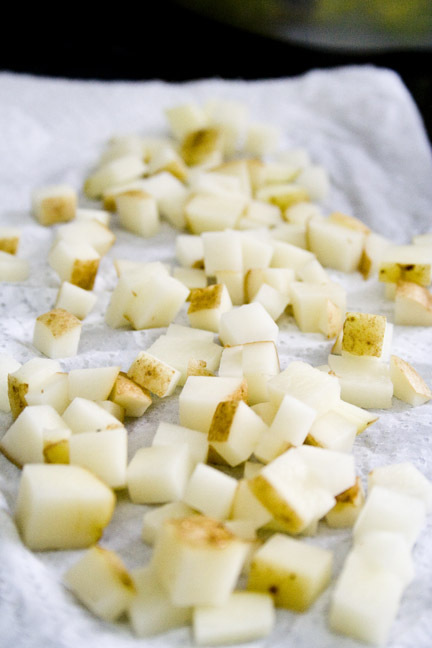 Move the potatoes to the cookie sheet and bake for 5-8 minutes until dry to the touch. You may want to move them around every few minutes so they don’t stick to the tray, but don’t use oil or cooking spray, as this defeats the purpose of this step by trapping in the moisture. 4. 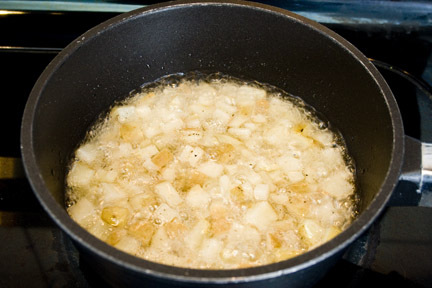 While the potatoes are in the oven, preheat the oil in a small pot on medium-high heat. 5. 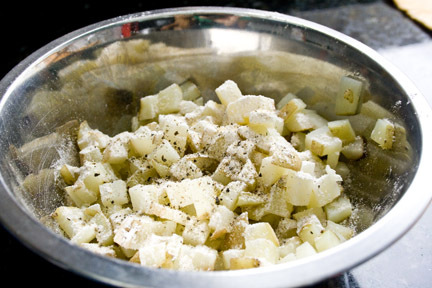 Remove the potatoes from the oven and place into a medium-sized bowl. Sprinkle with flour, garlic powder, cayenne pepper, and onion powder and toss to coat. 6. Test the oil with one small piece of potato. When it’s bubbling steadily, it is ready, however if the oil is smoking, it’s too hot and you should let it cool slightly. 7. Add the potatoes and let fry for 4-6 minutes until there is a slight color/texture change, but not fully cooked. 8. 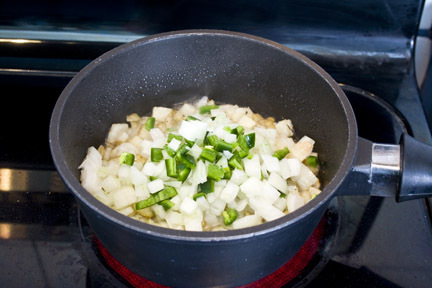 Then add the diced jalapeño and onion. Fry for an additional 4-6 minutes until golden brown. 9. Remove everything from the oil with a slotted spoon or similar, and place on a new bed of paper towels. Sprinkle with seasoned salt and serve your jalapeño and onion frites immediately.